Scoop anything from spices, to raw baking supplies, to candy and nuts! 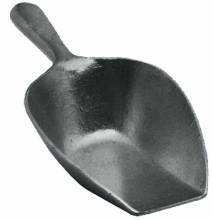 Aluminum scoops are a useful tool to easily scoops different ingredients, spices, food products and more! Use alongside ingredient bins, which are a transportable and durable option to store baking products and ingredients in bulk. Rubbermaid safety portioning scoops available to accurately portion ingredients! 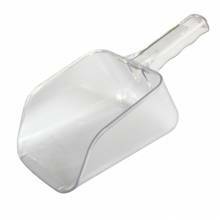 Aluminum scoops can be used with ice machines to transport ice to transport bins, or to fill glasses and ice bags! Durable to break large chunks of ice, and able to be easily cleaned. 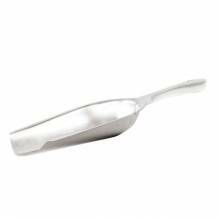 Cambro, Rubbermaid and Saf-T-Ice scoops available in clear or plastic, in various styles and sizes, ranging from 5 oz. capacity to 85 oz.